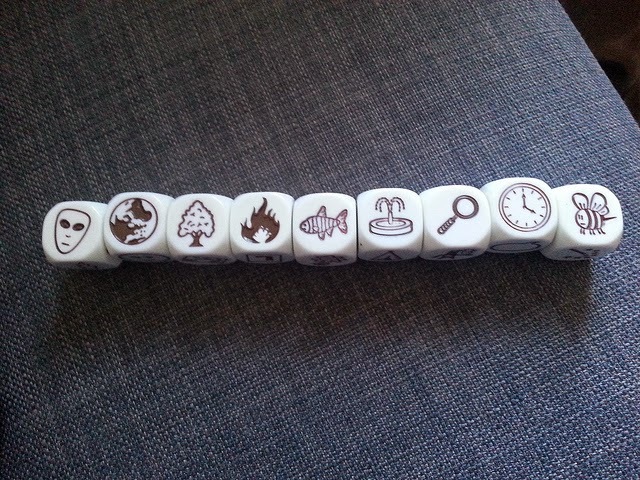 I bought some story cubes for my nephews (aged 4 and 6) as a joint birthday present, and gave it to them a couple of weeks ago. One of the stories the six-year old came up with, I drew as his birthday card when his actual birthday came around last week. 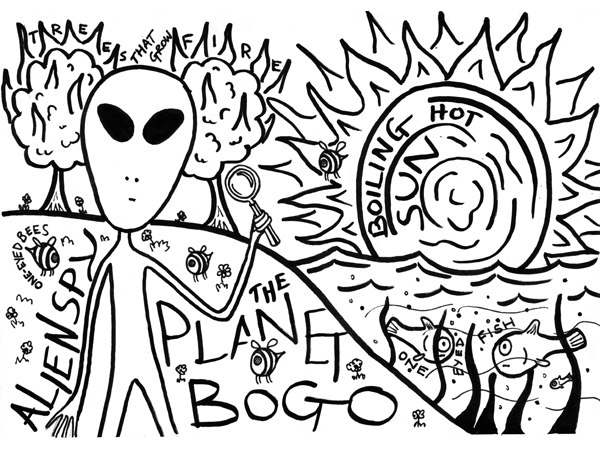 His story was about an alien (it had to be about an alien, he'd just been watching ET), who lived on the Planet Bogo, where the sun burned unbelievably hot, fire grew on trees and one-eyed fish lived (possibly in the fountain, but he was a bit vague about that). The alien was a spy! Something to do with a clock, and one-eyed bees (all the animals on Planet Bogo have one eye, except for the aliens who have two).